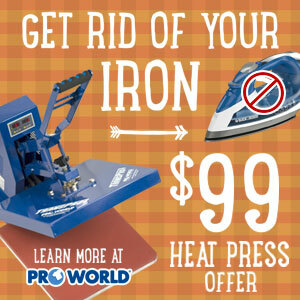 It's pumpkin-everything season...and it's also Freebie Friday!!! 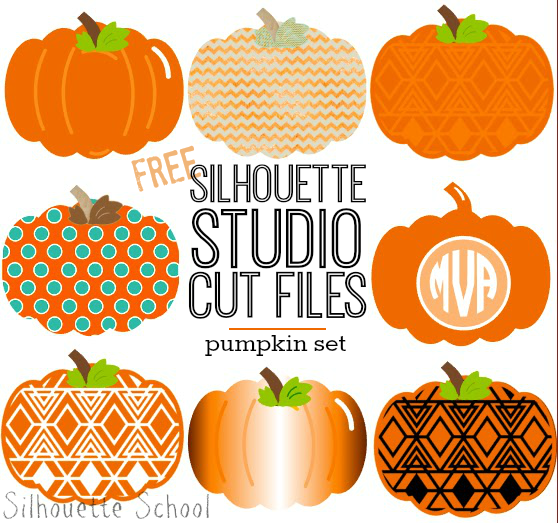 So this week Silhouette School is combining the two and sharing a set of 9 pumpkin cut files that you can use in your fall and halloween crafting! 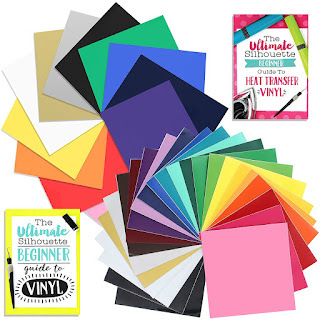 There are TONS of ways you can use these from print and cut for banners to printables for your mantle to scrapbook embellishments, vinyl decals, sketch pen projects and heat transfer vinyl! I designed one basic shape and then modified it with different fills, backgrounds, patterns and shader effects to make the full set. Adjust pretty much any of the colors to your liking by changing the fills. You can download the full set now, but please remember these are free for personal use only. 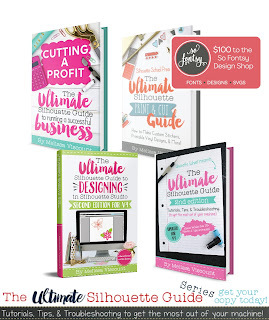 Tag @SilhouetteSchool on Instagram - any day of the week - to share how you're using our Freebie Friday cut files! Thank you so much! This is such a great collection! 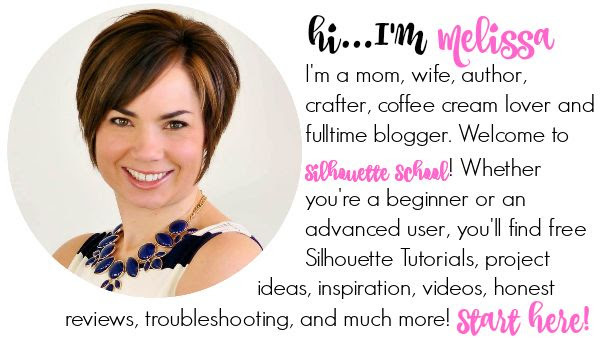 Hi Robbin, Yes if you have Silhouette Studio the V3 is the one you want. V2 and V3 files will open in V3 but V2 won't open V3 if that makes sense. My v3 is up-to-date (even uninstalled and re-installed most up-to-date this morning) and I've never had trouble downloading your files in the past but for some reason this morning I am unable to. 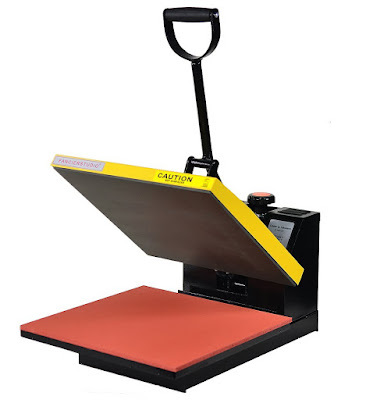 Each time an error message pops up and then shuts down Silhouette Studio. 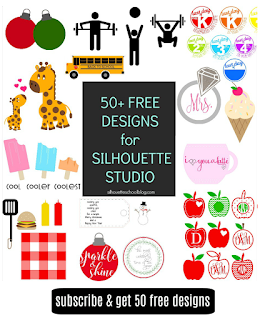 Otherwise Silhouette Studio is functioning great! Not sure if anyone else is having this issue but figured I'd share in case a) someone knows a remedy and b) if someone is experiencing the same thing. Unfortunately cannot open version2 file -- it says it's not supported. Thank you for sharing. I see others have been successful. Click the link to download in the post above > download to your computer (not dropbox) > open silhouette studio > file > open > navigate to the file. I have had trouble opening this as well. Every time I try to download, it shuts down my silhouette program. I tried downloading another file from your blog and it worked fine. Any suggestions? I'm having the same problem that Annie Hogge is having! Sorry -- no luck downloading -- I have v2 and I get message that file is not supported. I've used both methods of downloading and each time get same message. I have DE as well. I have V3 and still can't get it to work. Mine wants to download straight to dropbox. Does anyone know why? I really don't even know what dropbox is. Did anyone figure out how to download these? I had the same issue everyone else is experiencing. Super bummed! 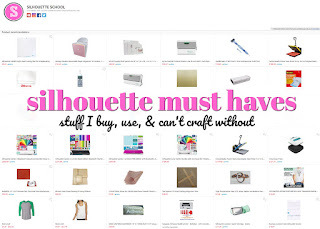 Is this only for Silhouette.. . .I wouldn't be able to transfer into my cricut? I still can't get this file to open or save to my Silhouette library either...all of the others work with no issue, but I get an error message and the Silhouette program shuts down on this one. I really like these!